Work continues on the 140-foot-long, 12-foot-wide deck. 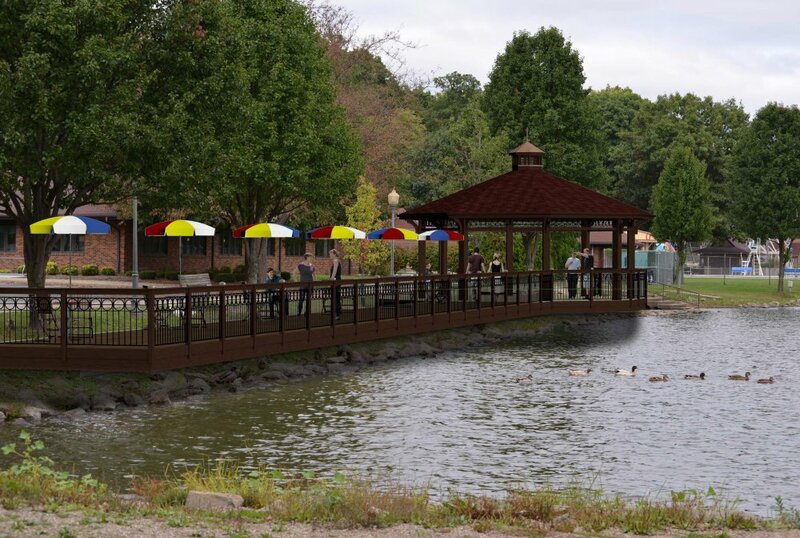 Located between the Park Place Teen Center and the Tuscora Avenue parking lot entrance, the Boardwalk is designed to enable people to enjoy being close to the water, with seating and shade for daytime comfort and decorative lighting for evening enjoyment. The structure will feature a cantilever over the shoreline rocks to provide an unimpeded view of the water. A 34-foot-wide gazebo will be built at one end. A concrete plaza at the other end will provide additional access and seating.